I love this brand because their juices don't have refined sugar in them. So I was excited to try this new flavour. After trying it, though, I was a bit disappointed. 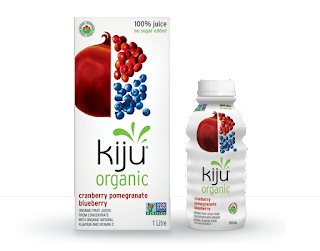 The juice tastes a lot like cranberry, somewhat like pomegranate and a very little bit like blueberries. I had to make an effort to taste the blueberry flavour. It does taste good, though. But I expected more of a combination of flavours instead of a strong dominant one. I will definitely buy this again, but more when I feel like having cranberry juice than when I feel like having a mix of flavours.